When building fires at your Lawrenceville home, it’s important that you use dry, high-quality firewood. Whether you’re building a fire indoors using a fireplace or outdoors using a fire pit, the quality of your firewood will affect the performance of your fire. Cutting Edge Firewood, however, is here to help. Although we have a showroom in Norcross that’s open to the public, we serve the entire Greater Atlanta Area. If you live in Lawrenceville or any other part of the Atlanta metropolitan region, we can deliver premium firewood directly to your home. 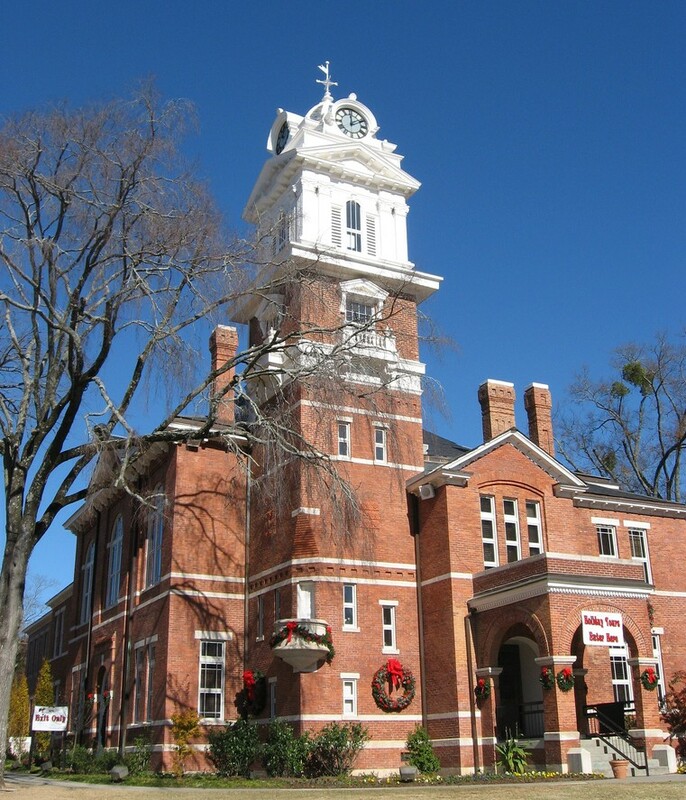 Located in Gwinnett County, Lawrenceville is a city of about 28,546. It’s become a popular place for individuals and families looking to settle down because of its close proximity to downtown Atlanta. Lawrenceville is still far enough away, however, for residents to enjoy lower property prices. Now, let’s take a look at some fun and surprising facts about this popular city in the Greater Atlanta Area. Lawrenceville was founded in 1821, making it the second-oldest city in the Greater Atlanta Area. Lawrenceville was named after military commander James Lawrence, who led a ship during the War of 1812. The only airport in Gwinnett County, the Gwinnett County Airport-Briscoe Field, is located in Lawrenceville. The Lawrenceville courthouse, which is still standing, was originally constructed in 1885. In 2005, Lawrenceville partnered with Aurora Theatre to open a new theater in the downtown area. When it comes to choosing firewood for your Lawrenceville home, quality matters. Many homeowners assume that all firewood is the same, so they choose the cheapest firewood they come across for sale on the side of the road. In some cases, you can find high-quality firewood for sale on the side of the road. Most of the time, however, it’s low-quality firewood that hasn’t been dried or processed. So, what’s wrong with using low-quality firewood such as this at your Lawrenceville home? First, there’s the possibility of pests hiding or nesting in it. According to the Indiana Department of Natural Resources, firewood is susceptible to at least 140 pests and pathogens, all of which can hitch a ride into your home if you aren’t careful. Thankfully, this isn’t a problem when ordering firewood from Cutting Edge Firewood. Our premium kiln-dried firewood is guaranteed to be free of pests, giving you peace of mind knowing that no creepy-crawlies have hitched a ride into your home. Low-quality firewood also has a shorter burn time than high-quality firewood. This is due to the fact that it contains more moisture, which hinders the combustion process when the wood is burned. With up to 70% to 100% moisture content, low-quality firewood dies out quicker than high-quality firewood. Therefore, it can cost you more money to burn in the long run. Creating an energy-efficient home has become a top priority for many homeowners. As energy prices in the Southeast continue to rise, many homeowners are exploring ways to reduce their energy usage and reap the benefits of lower monthly utility bills. Using insulation and caulk to plug thermal air leaks is an important step to creating an energy-efficient home. Another a step, however, is to use your fireplace for supplemental heating during the winter. Using your fireplace won’t contribute to your home’s energy usage. It will radiate home throughout your Lawrenceville home without contributing to your monthly utility bills. Firewood is also a renewable resource, so it’s environmentally friendly. You can avoid the problems associated with low-quality firewood, such as pests and a short burn time, by ordering your firewood from Cutting Edge Firewood. Our kiln-dried firewood — available in hickory, oversized hickory, oak, cherry and more — is conditioned for two full days. That’s 12 times longer than what the United States Department of Agriculture (USDA) requires when selling kiln-dried firewood. This longer conditioning time allows for drier wood that’s easier to light, burns hotter and burns longer than our competitors’ kiln-dried firewood. Another reason to choose Cutting Firewood is because of our Delivery Artisan service. Not only will we deliver your purchased firewood to your Lawrenceville home, but we’ll also neatly stack it and clean any debris from your previous stack of wood. Storing firewood inside your home is perfectly fine, though it can leave a trail of bark and debris on your floors. 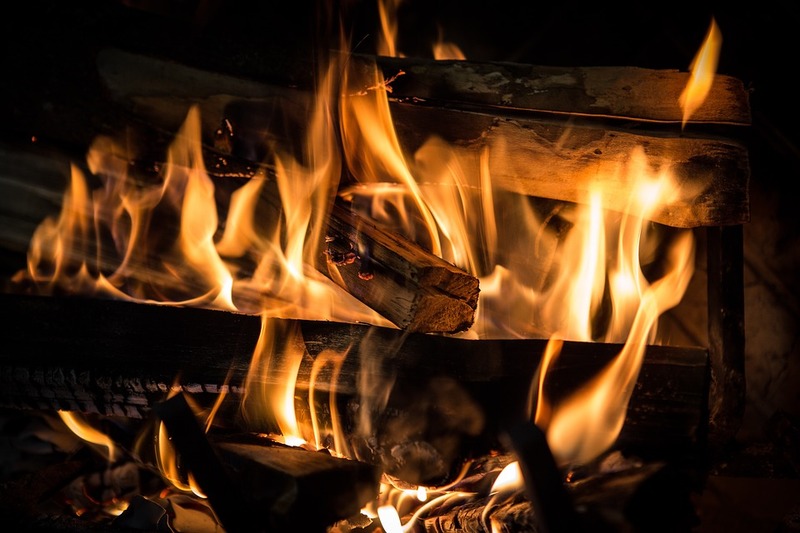 With our Delivery Artisan service, one of our firewood experts will clean any debris such as this so that you can focus on what really matters: building and enjoying hot fires. Find the best deals on premium kiln-dried firewood for your Lawrenceville, GA home by visiting our online store today.